Friday began with the company heading to the VA for the Veterans Parade, while in line we were dispatched to Rt. 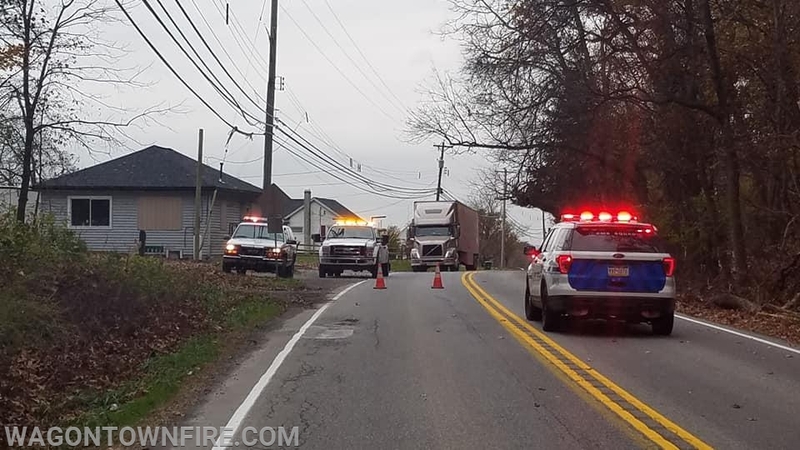 10 and Amy's Lane at 09:52 hours for an accident. Chief 35 arrived onscene and found one confined in their vehicle with EMT's from Med Trans onscene. 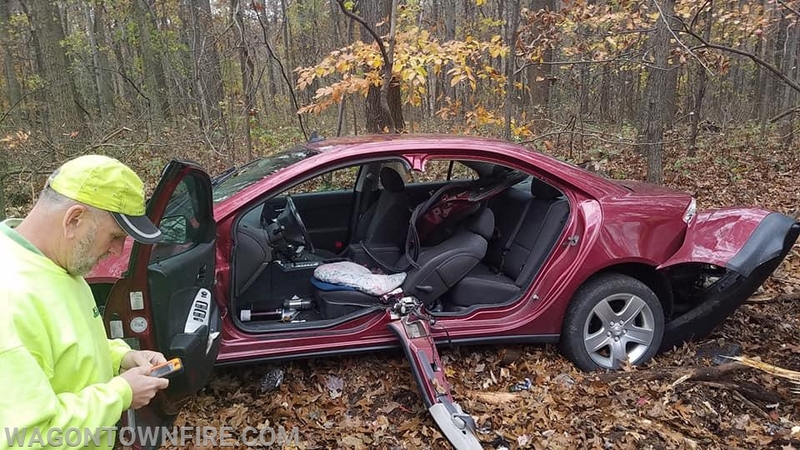 The Rescue arrived and crews stabilized the vehicle and removed the drivers side doors and B Post to make access to the patient easier for the EMS crews. Crews then assisted EMS with removing the patient and loading her into Ambulance 144 for transport to a local trauma center with Medic 93. Once the incident was cleared crews returned to station. 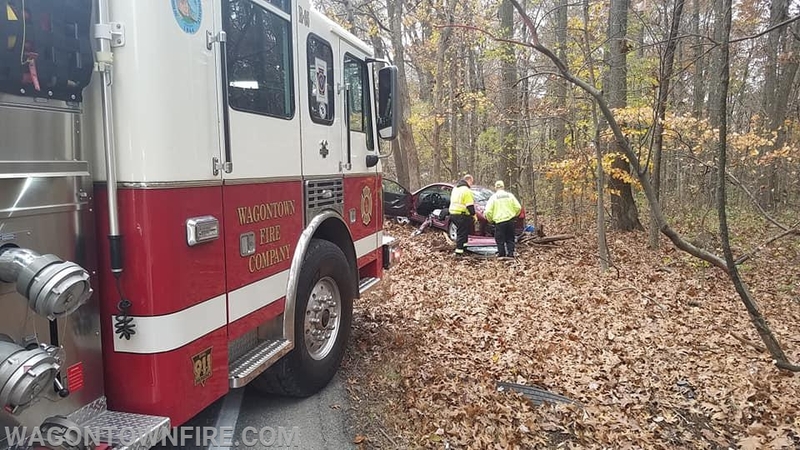 While on this incident the fire police cleared the VA assignment and assisted Westwood on a serious accident on Rt. 30 in Valley Township. At 14:50 Hours the company and Ambulance 144 were once again dispatched for an accident in the 500 Block of West Kings Hwy. Onscene units found an accident off the roadway and the Fire Department stood by while Ambulance 144 transported a victim to the hospital. Crews cleared the scene a short time later. At 17:10 hours the Engine was dispatched on the city box to the 800 Block of Olive St at the Scott Intermediate School in Coatesville for the reported building fire. Companies arrived onscene from the city and found an boiler malfunction, Engine staged and was later released as the assignment was scaled back.